Misc Rules: DS, Ice, WC, MOL (AFV only), Skis, NQ. Armored Assault is NA. 2018-05-14 (D) rene cote vs mrosberg Finnish win lots of options for set-up for the Russians. i opted to try to man my AFVs and fight it out with Finn vehs and defend front line buildings. 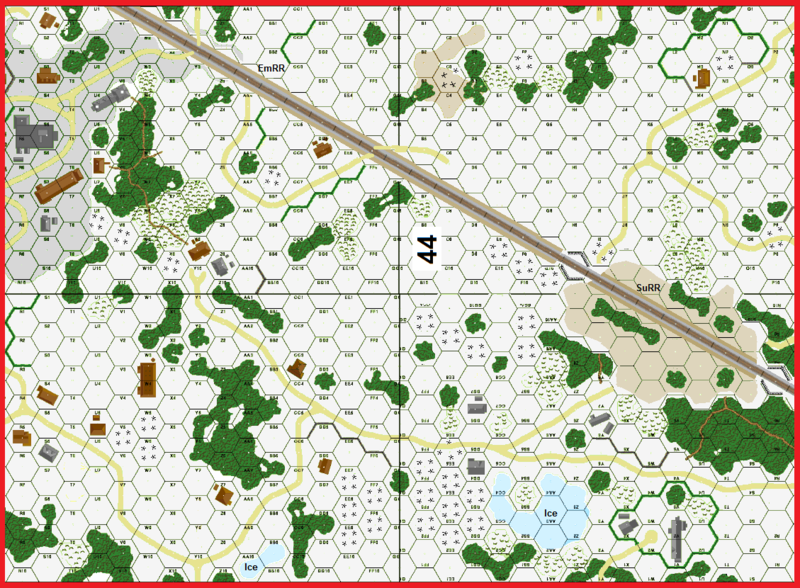 Lost three manned AFV for 15CVP of the 40 required by the finns and there are at least 5 buildings (15CVP) within easy reach for them, so do the math. I thought i was doing well but my losses and buildings got the finns their 40 CVP by turn 6. If I played again, would probably Alamo the whole force in south east corner and have the Finns ski all the way under some fire to collect CVP.